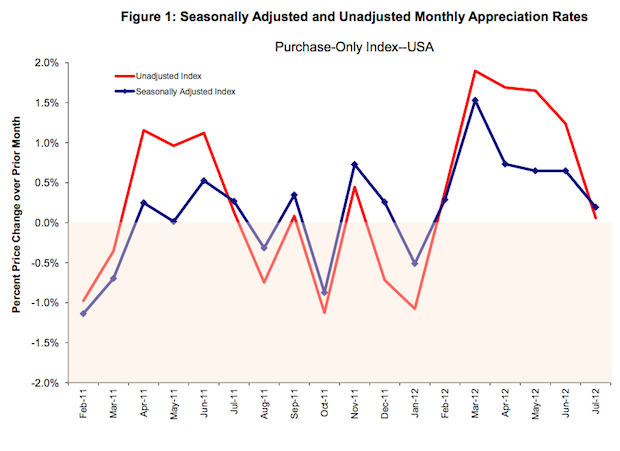 All data are seasonally adjusted. 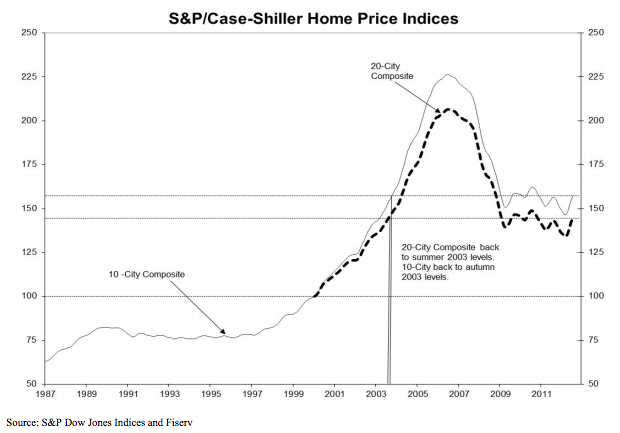 Home prices are increasing but at a slower rate. 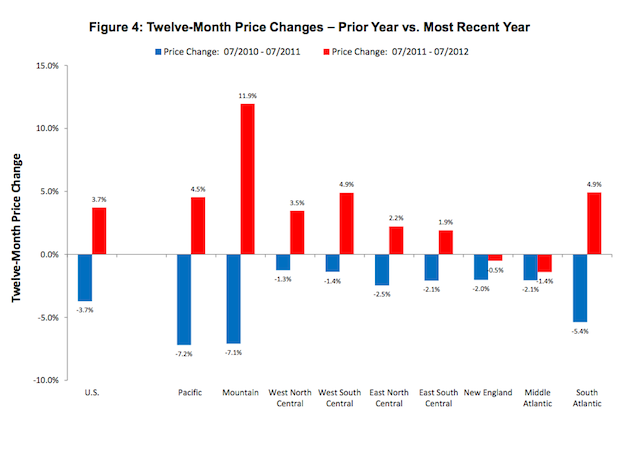 This report is the sixth consecutive one showing higher prices. 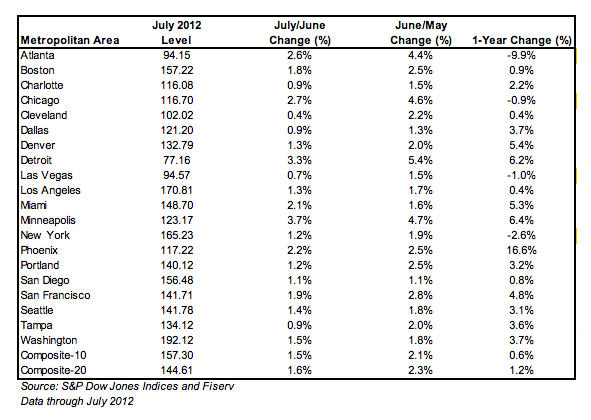 July chart/table below, and full July Case Shiller report here. Year/Year change 3.7 %. Previous was revised to +3.8%. While these reports show gains and consequently stability to prices, the gains are smaller than previous and below expectations. 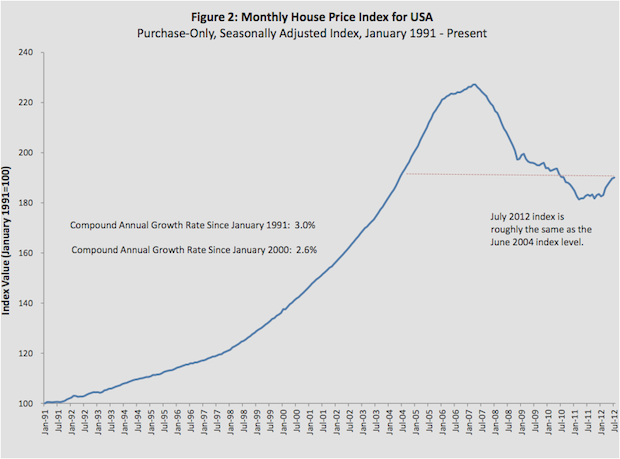 It will still take years for Housing Starts to return the the 1,500,000 needed to keep pace with population growth. Confidence Level is 70.3 a nice move up from the previous (revised ) 61.3. This is the index from the Conference Board. Store Sales Year/Year change 2.0 %. Previous was +2.4%. Index Level was 4. Previous was -9.